The above video illustrates a feature that is the core of our software. 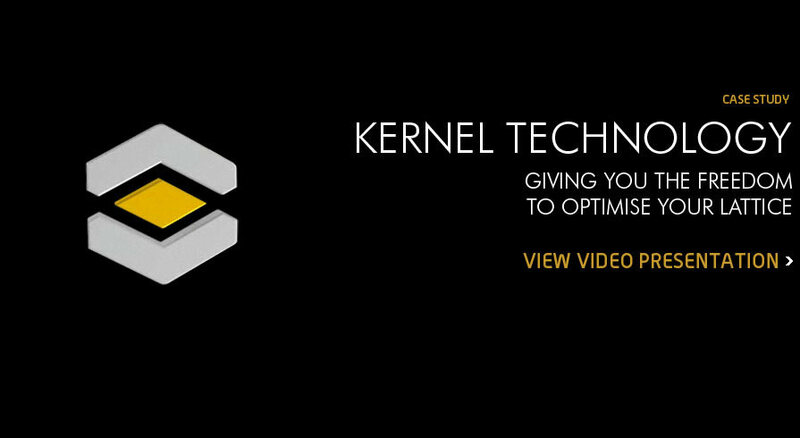 Kernels, depicted as small cubes, have embedded in them all that is needed to fully optimise your lattice design. Like seeds, they can grow and with them define the lattice properties in their local area. Each kernel is defined by its density (x, y and z) and topology. Users have the ability to quickly and fluidly adjust the properties of the lattice by adjusting these kernel values resulting in a lattice that is truly customised to their needs. The video ends with an ‘embossing’ of our company logo into the lattice itself by varying the density of the lattice demonstrating the immense amount of freedom that is available with our software.